Pastor John Hagee, the well-known televangelist, is out with a new book and it looks like he’s trying to give Isaac Newton a physics lesson. According to Hagee, God is “controlling the Sun and the moon right now to send our generation a signal,” which is why we have eclipses. That might have been a compelling theory, but Isaac Newton figured out that the Sun, moon, and all planetary bodies follow natural laws and aren’t actually celestial pegs in God’s Lite-Brite billboard. Granted, Isaac Newton’s Philosophiæ Naturalis Principia Mathematica is a pretty dense book and Hagee may not have had a chance to read it. Then again it’s been around since 1687 so you think he might have heard about its lessons by now. Helpfully we have Neil deGrasse Tyson’s Cosmos reboot to let prophesying Christians catchup with three centuries of scientific advancement. Episode 3 takes on the issue of scientific vs religious prognostication specifically. In an arduous tour-de-force of mathematical brilliance, [Edmund] Halley discovered that comets were bound to the Sun in long elliptical orbits. And he was the first to know that the comets seen in 1531, 1607, and 1682 were one in the same – a single comet that returned every 76 years. In a stunning example of true pattern recognition, he predicted it would be seen again within 50 years in the future. 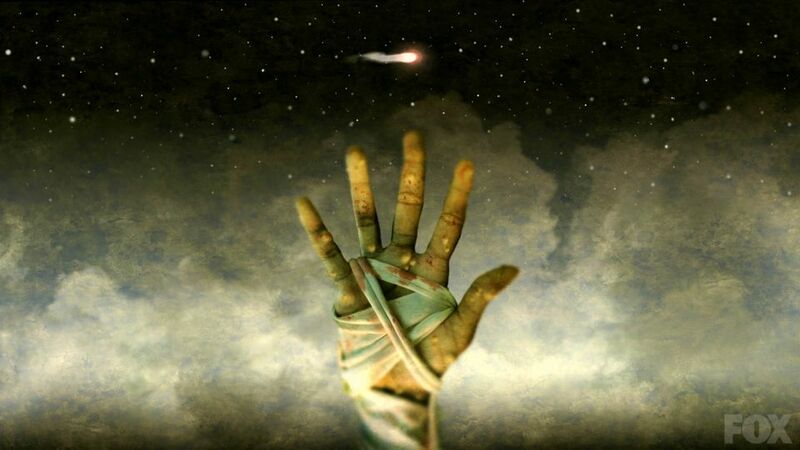 For millennia comets have been props for mystics who considered them to be merely omens of human events. Halley shattered their monopoly; beating them at their own game. A game that no scientist had ever played before: prophesy. And he did not hedge his bet. Like Babe Ruth predicting where his next home-run would land in the stands, Halley stated flatly, the comet would return that the end of 1758 from a particular part of the sky, following a specific path. There is hardly a prophesy attempted by the mystics that ever he even strives for comparable precision. Newton’s laws made it possible for Edmond Halley to see some 50 years into the future and predict the behavior of a single comet. Scientists have been using these laws ever since – opening the way to the moon and even beyond our solar system. In contrast we have Hagee’s prediction: a “world-shaking event that will happen between April 2014 and October 2015.” It doesn’t really seem quite as precise. Maybe Hagee should pick up Newton’s Principia or Halley’s A Synopsis of the Astronomy of Comets. Compared to the Bible, they’re practically new releases!